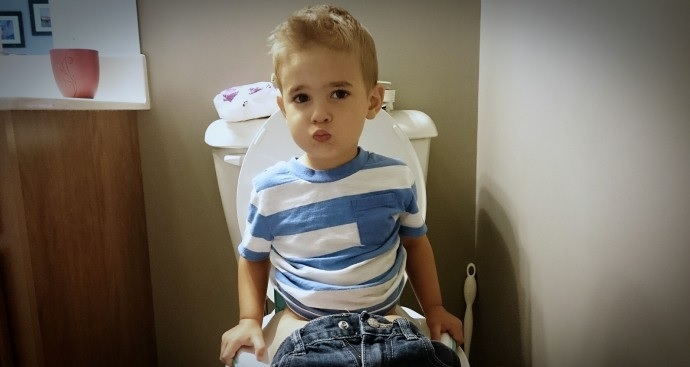 Hey Mommies… Ohhhh potty training. This is the thing that caused me the most anxiety about having a child. 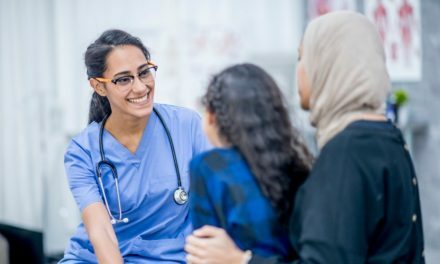 In my 7 years of being a pediatric occupational therapist, I have dealt with a lot- behaviors, tantrums, picky eaters, weaning from a bottle, etc- but I had never potty trained a child. 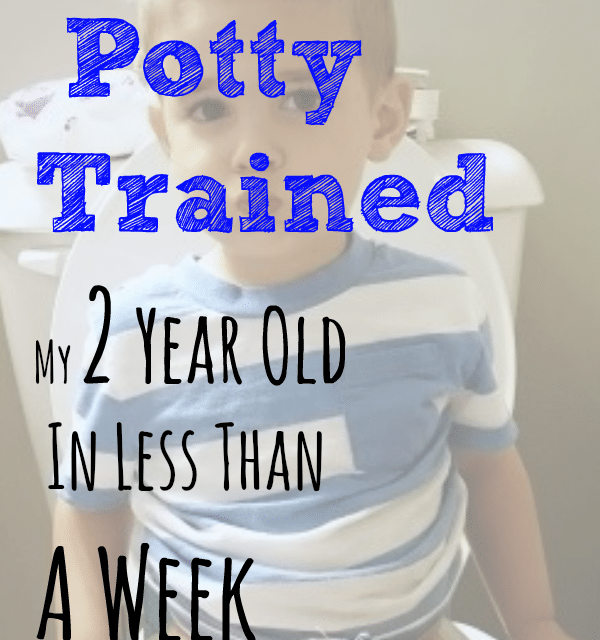 My son turned 2 this past May, and I decided that we were starting potty training as soon as he turned 2. He actually showed no signs of being ready to start, but he was/is an extremely smart child. He showed good language skills, good reasoning skills for 2, and completely understood the potty process. 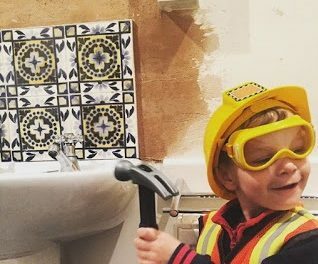 While he didn’t show any of the classic signs of being ready to potty train (noticing when he was wet/dirty, having an interest in the potty, waking up from naps dry), I knew that if we prolonged potty training, it would eventually turn into a power struggle and behavior issue. He just didn’t want to go on the potty. Diapers were what he knew and were easy for him. I knew he could do it, but that he didn’t want to. That’s why I made the decision to just go for it. I was incredibly nervous and really second guessed myself leading up to the day we started, but it all worked out! My 2 year old son was pottying on the potty in less than a week! I used my knowledge of behaviors, conditions, positive reward systems, and making transitions, and applied it to the routine of potty training. Below is the process of how I potty trained my 2 year old in less than a week. 2-3 weeks before we started potty training, I began telling my son at every diaper change that soon we were going to be all done with diapers. He was going to start wearing big boy underwear and going potty on the potty. The goal of this was to get it into his mind that a change was coming so he could prepare for it. He knew something was coming instead of just one day saying “Ok we’re wearing big boy undies!” without any warning. I started taking my son by the big boy underwear at the store. We would talk about them and I would ask him which ones he liked. He liked “Cars” ones the best. A few days before we were going to start training, I got him some “Cars” undies and gave them to him. Again, I explained how he was going to wear them and start going on the potty in a few days. I wanted to make sure we started at a time when we’d be home and could just stay at home. Potty training was our main focus, and the weekend worked well for this. If you have days off during the week, maybe pick those days to start instead. Around the clock we would bring him in and sit him down on the potty. We’d warn him a few minutes before we were going to go, and then would take him. Initially, we’d give our son a reward (M&M) every time he sat. Then it went to only the times he went potty. We’d still give him verbal praise for sitting, but if he wanted a treat, he’d have to go. We also had a potty dance/song we’d sing when he went. We really just danced around like fools. He really seemed to like this and it gave him positive reinforcement for going. Initially, my son did not want to sit on the potty at all. Reading a book, letting him watch a video on our phone, or counting, helped get him to sit long enough to relax and go. The “Everybody Poops” book was actually very helpful for potty training. It really helped when he had to poop too. We constantly asked if he had to potty. I felt like a broken record! “Do you need to potty?” “If you need to go potty, you can tell Mommy” “Do you need to pee?” “Do you need to poop?” and so on. Every time he acted slightly odd, I’d quickly ask if he needed to go. Our parents are our child care, and we had them follow the same routine we did. He wore underwear to their houses, and they would take him potty every 30 min to 1 hour. Consistency is extremely important for success. If you’re planning to start, you need to make sure that anyone/everyone who interacts with your child can follow your same routine. – The first day of potty training actually went great! We were amazed at how well he did. He had maybe 1 or 2 accidents. The second day was AWFUL! He had accidents every 10 minutes it seemed! I was thinking I had made a mistake! We should just go back to diapers and give it more time, but we didn’t. The 3rd and 4th days went well with just a couple accidents. By the 5th and 6th day, we were accident free!! A couple months later, he regressed some, but we powered through, and never went back to diapers. Had we gone back, it would have started the whole process over. Plus, it could have created behaviors and power struggles when we decided to start again. After a few rough weeks, he was back to doing awesome! One other thing I did with potty training is that I used a potty seat over the regular potty. I know that a lot of people get the potty chairs that sit on the floor. The idea behind the potty chair is that the child can interact with it and get comfortable. I did not want to do this because the ultimate goal is to get them going on the big potty. I hope you find this helpful! I know every child is different, but if you prepare for change, develop a routine, and stick to it, you too should be able to get your little one potty trained! Feel free to discuss in the comments below! PreviousGet Them On Their Tummy! But Why? ?